SLP Industries Ltd is pleased to announce that it has been nominated as Exporter Of The Year for Southern Alberta. This nomination comes courtesy of HSBC Bank of Canada. I could not be more proud of my employees who work so efficiently to help us obtain our goals. SLP Industries Ltd has worked diligently at being a company that can move quickly in a changing business environment. Recently we have re-tooled our manufacturing division to fabricate pallet components in addition to our current core products. This was our way to open new opportunities for SLP Industries into new market segments and geographies. We are a few short weeks away from opening our new offices to accommodate our expansion plans. Exciting times for SLP and its crew ! SLP is proud to announce the opening of SLP Asbestos Removal Ltd.
For professional Asbestos Removal services please contact our trained and certified personnel. SLP Industries Ltd is now COR certified! 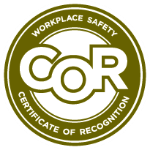 SLP Industries Ltd. is pleased to announce that we are now COR Certified. All of our employess worked diligently to assure we were compliant with out Safety Program protocols. Special thank you to our Warehouse and Manufacturing employees. They command respect for their efforts and results and they have mine. Have a safe and prosperous 2014. 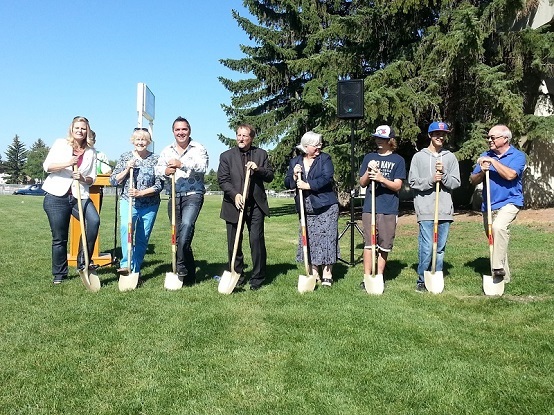 SLP Industries Ltd. and the City of Lethbridge join forces. SLP Industries Ltd. is proud to announce it's corporate partnership with the City of Lethbridge. On Monday, February 04, 2013 City council approved the 10 year agreement with SLP Industries Ltd. for naming rights for the proposed skatepark, which is slated to be built south of Henderson Arena, along Parkside Drive South. SLP Industries Ltd. is committed to the youth of our community. SLP Industries Ltd. is pleased to announce that our Warehouse Manager, Sean Perry, is now certified as a Safety Auditor. SLP Industries Ltd. is in the process of acquiring COR Certification. We are pleased that Sean will be leading us to achieve that goal. SLP Industries Ltd. is pleased to announce the successful completion of COR Certification. SLP Industries Ltd has established itself as a leader in import / export on the international stage. Recently, SLP Industries Ltd managed and consulted multinational import and export of commodities. We provided services which included negotiation, purchase, logistics, administration, sales, international trade law and a plethora of other business disciplines. From conception to fruition SLP Industries utilized its team of in house professionals to execute this contract with accuracy and precision. If you or your business require services to move your products and services through international borders, our team of in house experts are here to serve you.